The oceanic islands of Sao Tome and Principe are millions of years old and have never been connected to mainland Africa. Due to their isolation they have accumulated hundreds of endemic species, including reed frogs of the genus Hyperolius, a diverse group found across Sub-Saharan Africa. Islands are good places to study evolutionary processes, and in the Gulf of Guinea, reed frogs are thought to be the islands' only endemic vertebrates to have diversified within a single island as well as having dispersed between islands. 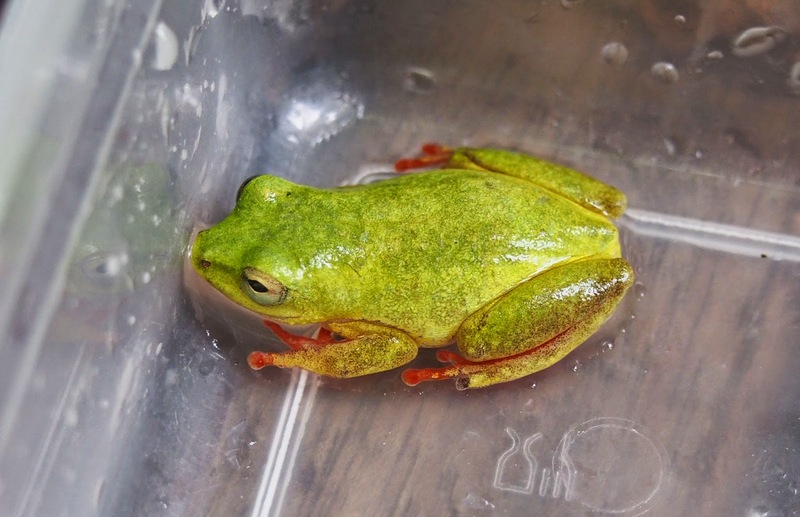 A new study looks at patterns of diversification and dispersal among reed frogs of Sao Tome and Principe. Using mitochondrial DNA and genome wide SNP markers, the researchers looked at Hyperolius molleri - endemic to the two islands - and the Endangered H. thomensis, found only on Sao Tome island. They compared them with the sister species H. cinnamomeoventris from neighbouring Gabon. They found that Hyperolius initially colonised the younger Sao Tome island and later "rafted" to the older Principe island, following the direction of ocean currents. The two island populations are genetically distinct, indicating that dispersal happened in the past, but is not ongoing today. Furthermore, geographic separation of Hyperolius on the island of Sao Tome led to speciation and the divergence of H. thomensis and H. molleri. Since then, secondary contact- possibly facilitated through the advancement of agriculture- has allowed the two species to re-connect and hybridize. Island endemics are particularly vulnerable to extinction through habitat loss, invasive species and human activities; all the more important that novel research on vulnerable endemics contributes to sound conservation management strategies. Bell, R.C., Drewes, R.C., Zamudio, K.R., 2015. Reed frog diversification in the Gulf of Guinea: Overseas dispersal, the progression rule, and in situ speciation. Evolution 69, 904–915.